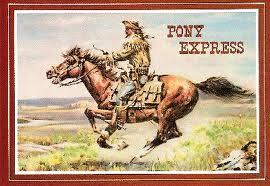 Lucky Bronc makes every effort to ship within 1-2 business days of receiving your order. Designs ship via USPS priority mail and should arrive within 5-10 business days. Occasionally, some of our more popular designs are on back order, and may take up to 14 business days to arrive. Back orders are noted as such on the website. Anytime your pre-tax order totals $100 or more, you automatically receive free ground shipping. It's as simple as that! Lucky Bronc also offers occasional promotional pricing and discounts. Orders under $50.00 are $6.00 S&H and $50.00 to $99.99 are $11.00 S&H. Lucky Bronc is happy to exchange or refund any item that is returned within 30 days of its original purchase date. Return shipping must be paid by customer.